The city of Lima is a fascinating place. It is rich in a culture that is warm, vibrant and deep rooted. It hides a pre-Columbian history that outstrips that of places like Cusco. It is the capital of a Spanish colonial history that not only defines the city, but also the country and the continent – and at one time even the world. It is home to a gastronomy that to those in the know, such as the world’s top chefs, is considered one of modern human civilisations twelve greatest. Unfortunately, many visitors to Peru, with time strictly budgeted, don’t get to stay long enough in Lima to see through the noise and the smog of the city’s day to day scenes. Nor do they come armed with the knowledge to hunt down the Lima experience, as little information is publicised and little of Lima is promoted. It is entirely understandable that visitors don’t come from as far away as North America, Europe and Australia for a city break – tourists have been sold on a land of mountains and Inca relics. 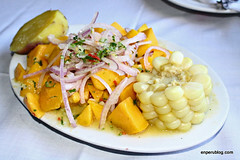 So, what is the tourist, with more time in Lima then they’d prefer and no interest in a city experience, to do? The truth is, Peru is such a magical place that you do not need to go too far outside the city of Lima to find attractions that rival those elsewhere in the country. From desert oases, pretty Andean villages and ancient pyramids to hiking trails, white water rafting and horseback riding – here’s the run down of nearby weekend getaways. 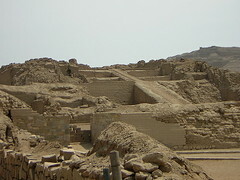 One of two or three important ancient cities built from adobe that are found within the limits of the modern metropolis of Lima. Built more than 1000 years ago for the worship of the god Pacha Kamaq, lord of earthquakes, it became one of, if not the most important pilgrimage centre in the Andean world. Adapted and enlarged by later civilisations such as the Wari and the Inca, the site and its dozens of buildings are now abandoned and decaying out in the desert sun. The ruins can be reached by day tours from the city, or by taxi for about 80 soles. Take water and a hat, especially during the summer months of December to June. Find out more about this location here. Lunahuaná – Tiring day or 2 days, 1 night. 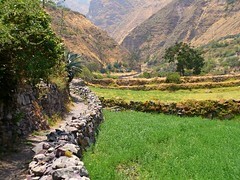 In a valley in the south of the region of Lima, a few hours by car, is Lunahuaná. 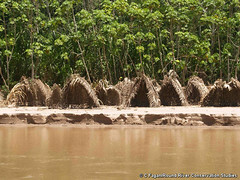 Although known principally as an adventure sports resort for its river that rages during the coastal summer and Andean rainy season, it remains a relatively calm and relaxing place. Inexpensive, its easy to find hotels with comfortable cabins with views over the contrasting green valley floor and tall desert hills. If a day by the pool is not adventurous enough for you, and white-water rapids are a little too extreme, you can always enjoy a hike, or horseback ride along the river or visit the archaeological complex of Incawasi – an Inca-era city built to temporally replace Cusco while the emperor and his son conquered the troublesome Guarco people of this valley’s coast. Those without their own transport would need to take a Soyuz or PeruBus bus from central Lima to Cañete and local transport from there. Find out more about this location here. Set in the green rolling hills of the Chillón valley, one of three valleys that run into urban Lima, Canta is high enough up and far enough away from the coast to remain green and grassy year-round. The pretty Andean town makes for a wonderful getaway, and its rural charm is as much of a stark contrast to Lima as the climate is. Here you can enjoy fresh trout plucked from the river (or catch some yourself) or perhaps ride a horse to the nearby smaller towns. With transport, its not a great distance to the roof of the world. The very tops of the Andes mountains – the cordillera with its snowy peaks and clear lakes are reached by a long and continuously climbing road that takes you through Andean villages, past regions of natural importance such as forests of puya raimondii, and past areas of archaeological interest. 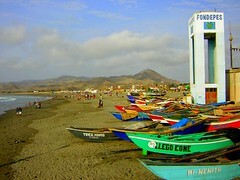 Public transport runs from Lima to Canta, from where transport can be found to local attractions. It is dry and sunny from December to July, so bring sunscreen. During other months, expect colder temperatures, especially at night, and light rain. Don’t cut travel time too close, flash floods during rainy season can cut off the roads for a few hours at a time. Find out more about this location here. 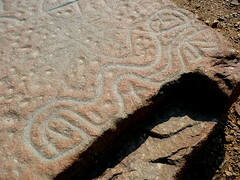 The rock art at Checta, found along the side of the road to Canta from Lima, is thought to be thousands of years old. Visitors can find petroglyphs carved into the boulders that cover the dusty hillside above the green valley. Further along is the town of Santa Rosa de Quives, birth place of the patron saint of Lima, Peru and Latin America – Santa Rosa de Lima. Often visited by catholic pilgrims from far and wide, this town, and others nearby, are still populated with buildings that are hundreds of years old. 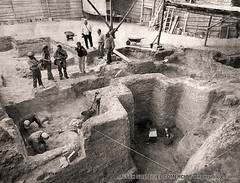 Peru is home to the oldest civilisations in the Americas. Here, in the coastal valleys of central Peru, groups of hunter gatherers and fisherman first began to form political units, religious orders, governments and eventually nation states. In the process they developed mathematics, science, medicine, agriculture and of course constructed cities and public monuments – monuments such as towering pyramids. 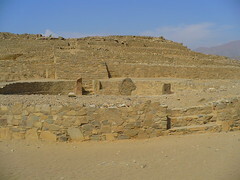 Caral was the capital city of one of these first civilisations and most of what is found here today, in the deserts in the north of the region of Lima, is about 3000 years old, while the civilisation itself is dated to about 5000 years old. This well-restored site and fascinating site is blessed with good infrastructure. It can be reached by tours from Lima that return the same day. Find out more about this location here. Up and along the Rímac valley is the winter retreat of Chosica. The town has a resort feel about it, with food stands and children’s fairground rides a constant sight. Always sunny when Lima is foggy, this is one of the places that Lima’s population flees to for weekends away. Its also where you’d base yourself for any stay longer than a day. From Chosica, public transport can take visitors further up the valley to Santiago de Surco or further still to Matucana. Both have a fairly typical Andean look and feel going on, but it is for the surroundings we come to visit. From both towns, visitors can hike off into the hills for the day and have the fresh air and scenery to themselves. Very few people come out here despite the trails being well maintained and you are unlikely to see another soul. Those who wish to stay longer than a day are welcome to set up a tent, and those who have plenty of time and plenty of experience can hike up to the cordillera of the Andes to its lakes and peaks (for more information consult the tourist office in Matucana). Public transport runs from central Lima to Chosica, where more public transport can be found. Leave early enough and all can be done in a day. Perhaps bring a packed lunch to avoid taking up time finding somewhere to eat. Find out more about Chosica, or about Matucana. Despite being a desert, Lima’s coast is incredibly damp due to the sea mist that regularly blows ashore. 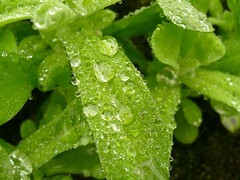 Where this sea mist hits the hills rather than blowing on over them, the water condenses and greenery takes hold. The Lomas de Lachay are one of these foggy oases surrounded by sand – sand that you can never see as far as due to the fog. The majority of plant life consists of bulbs hidden below the damp ground, this vegetation allowing the existence of many animals such as insects, birds and foxes that couldn’t exist elsewhere on the coast. In pre-Columbian times, the area was employed to cultivate diverse produce, maintaining a permanent population. Because of this we find archaeological remains associated with a agricultural culture. 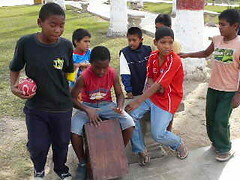 The Lomas can be visited by tour from Lima for those without their own transport. Find out more about this location here. 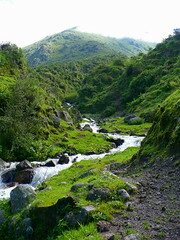 After the Chillón and Rímac, the Lurín valley is the 3rd and southernmost valley that extends from the cordillera to the pacific ocean, to the ruins of Pachacamac and the southern edge of Lima. Some way along the valley, but more easily accessed from a highway over the hills in the city, is Cieneguilla, also a popular getaway for the population of Lima during the foggy months. Cieneguilla remains less developed and more rural – it is a popular place to come camping, horseback riding, or eat food cooked in a traditional and rural style. Along from Cieneguilla, following what becomes a dirt road, we reach Antioquia. Antioquia used to be completely different. It was impoverished, grey, boring and unknown. It didn’t have a tourism industry and any outsiders visiting were confronted with a ghost town, as inhabitants shut up shop and hid in their homes until the stranger went away. It was like this until development group CIED began the Colours for Antioquia project, changing everything forever. 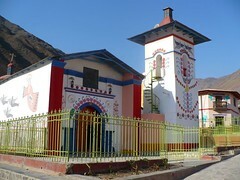 The town was painted in bright colours with beautiful drawings and patterns. This attracted curious tourists who brought life (and money) to the now completely converted town. Cieneguilla is reached easily by public transport. Antioquia, without private transport, is a little trickier to get to. In Cieneguilla you will have to find a taxi driver willing to go that far, and not all are. You will eventually find one to take you the distance and stay for an hour before bringing you back – expect to pay 100 – 120 soles. Find out more about this location here. During the weekends of Lima’s peak summer months, January – March, you’ll find the city a quieter place than usual. This is because thousands of people head off to the beaches to the south of the city. They are easy to get to, just hop on a bus heading south along the Pan American highway, and get off at one of the signs with the name the beach you are passing – “Los Pulpos” or “Señoritas” for example. The quality of the beaches and the commercial areas that serve them vary. Simple beaches will be lined with scruffier houses and on the beaches themselves you will find huts serving ice cream, beer and seafood. Fancier beaches, such as up-scale Asia, cater to Lima’s wealthy. Here you will find pretty houses, top restaurants, lively bars and a major supermarket. Those in search of something more traditional, and to stay for a night, might prefer to head somewhat further south to the fishing town of Cerro Azul. Here you’ll find a wide bay, suitable accommodation and fresh seafood. Find out more about Cerro Azul here. In the region bordering Lima called Ica, you will find the city of the same name. The region has a long list of attractions all of its own – from the famous Nazca Lines, to the popular Islas Ballestas, all of which are must-see stops for backpackers that pass through on the journey from Lima to Arequipa and then on to Cusco. But for those without as much time on their hands, you might be forced to choose between the Lines, the Islas or, as we’ll detail below as its the least time consuming, the town of Ica itself. Ica is considered the capital of pisco production as the bulk of the Peruvian spirit’s production takes place here. Located around the city are some of the nation’s most famous and most popular pisco producers, many of which are open to the public to visit and find out more about this almost 500 year old and unique grape brandy. Visitors will remember, so long as they didn’t drink too much, how each variety is made and with which type of grape. To one side of Ica is a huge expanse of sand that stretches out for miles in the direction of the coast Completely barren and devoid of moisture, the winds shift the sands as they have for centuries forming huge dunes that bask and bake in the strong sun. Bleached white with light during the day, and taking on deep warm tones as the sun sets, the dunes hide among them small oases of tiny lakes and palm trees. But there’s no time to sit, stare and take in this scene of exquisite natural beauty, yet another of millions to be found across Peru. It’s time to sandboard! People come from all over to take part in the sport; to ride down the steep dunes at breakneck speed. 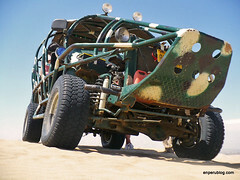 Dune buggies also take visitors on an exhilarating ride up over and down the dunes – an experience that can’t be missed. 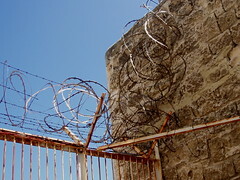 Ica can be reached by buses from Lima, from companies such as Cruz del Sur or Oltursa. Day trips can be arranged in Ica’s plaza. Find out more about the dunes here. 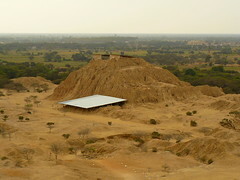 Also just inside the region of Ica is Chincha, known as the heartland of Peru’s Afro-Peruvian population. The nearby town of El Carmen is perhaps most famous, as its African-descended population host a yearly event celebrating their culture – of which music and dance is a big part. In the area are found a number of old Spanish haciendas, huge farms that often grow cotton. It was here that slaves were used – and it is these old farms and mansions that those interested in Peru’s black history must visit – the best restored being the Hacienda San José. Also nearby are the ruins of the Huaca Centinela, pre-Columbian constructions by a civilisation who were so wealthy and important that they commanded the respect of the Incas. Buses from the centre of Lima, run by Soyuz/PeruBus go to Chincha and other locations every 15 minutes. If you are interested in wildlife, and in particular birds, you might want to pass up Ica and Chincha and instead visit Paracas and the nearby Islas Ballestas. 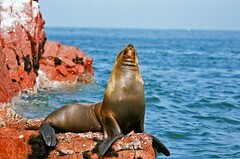 Jokingly called the “poor man’s Galapagos”, the islands, and the coast, are home to a multitude of animals, from dozens of bird species to impressive sea lions. 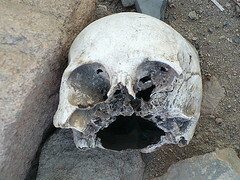 Peru never ceases to offer an archaeological experience, and the nearby necropolis of the Paracas people and their freakishly deformed skulls don’t disappoint. Buses, such as those from Cruz del Sur or Oltursa run from Lima to Paracas in the early morning, where day tours can be booked.